Atomic Ray Guns in Blackened Zirconium are usually a fan favorite. There are lots of great pieces of gear out there in blackened Zirc and these make a great match for that stuff. These will get darker as you handle them, the oils from your hands make the blacks get deeper over time. This is a small drop, they’ll go quick! 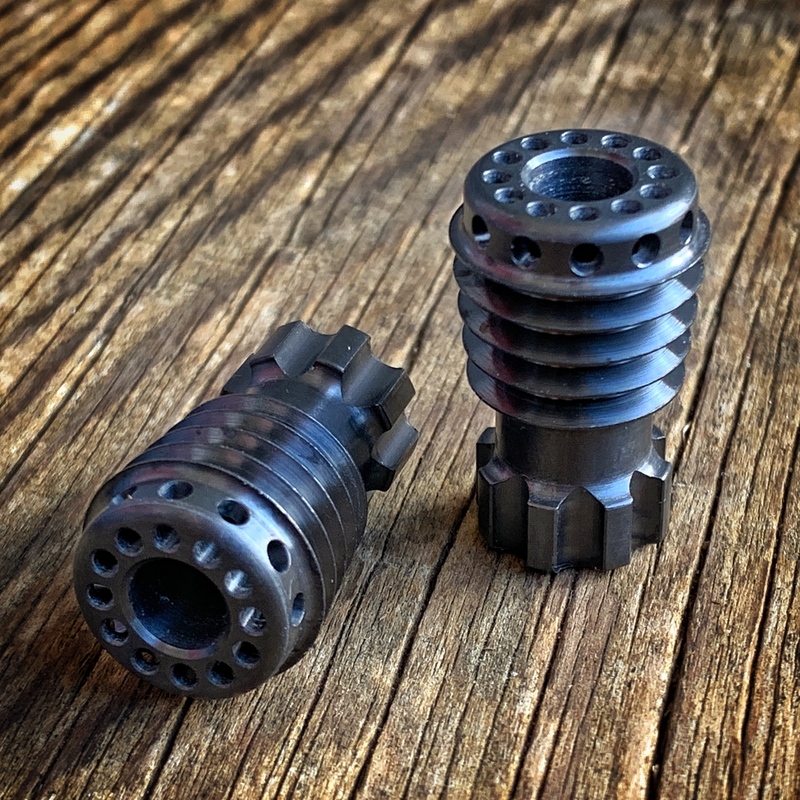 Mk.II Atomic Ray Guns in raw, Blackened Zirc are $125 each, shipped to US addresses. US buyers can purchase using the PayPal “Buy Now” button below. Buyers outside the US can hit the PayPal button to purchase and then contact me for a USPS Priority shipping quote at mark@raygundivision.com – Typically this ends up being an additional $15-30 due to Priority International cost, depending on location. Please Note: Shipment outside the US via any method other than tracked Priority or Express is at the buyer’s risk.